Moorestown Friends School (MFS) will host its 24th Annual Camp Fair on Saturday, Feb. 6, from 11:30 a.m. to 3 p.m. in the school’s Field House. This is the largest Camp Fair in South Jersey, featuring dozens of camps that will come to campus to highlight their programs. Admission is free and the event is open to the public. The Camp Fair is sponsored by the MFS Parent Council. Refreshments and lunch will be available for purchase, and there will be face painting and other entertainment for children. A wide variety of summer camps will be represented, including day and residential camps for young people in preschool through high school. There will be camps focusing on sports, science, technology, ecology, theater, arts, travel, languages, academics, equestrian, roller coasters, and more. Examples of new camps exhibiting this year include the Chincoteague Bay Field Station in Virginia, for students interested in exploring diverse coastal ecosystems, and MEDacademy, a medical education program for high school students interested in becoming doctors, which is coordinated by Cooper Medical School of Rowan University. Sports camps attending the Camp Fair include the Philadelphia Phillies Baseball Academy and Philadelphia Union Soccer Schools. Movement Lab will be exhibiting its Parkour Camp and Ninja Warrior Camp at the fair. The Camp Fair will also feature programs that offer opportunities to travel internationally. For instance, Actionquest and Lifeworks International offer adventure travel, cultural immersion, and community service programs, in locations around the globe. Global Works runs a service-based program with international trips to Central and South America, Europe, China, Africa, and the South Pacific. 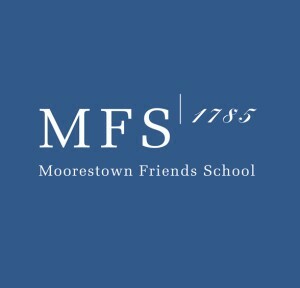 The Moorestown Friends School Summer Programs, which will be represented at the Camp Fair, provide opportunities for children to innovate, create, experiment, and collaborate with others. Summer Programs courses are available to students in prekindergarten through ninth grade, and many programs are led by Moorestown Friends School teachers. Moorestown Friends School is minutes from the Moorestown Mall, at the intersection of Main Street and Chester Avenue in Moorestown. Directions to the school can be found at www.mfriends.org. Parking for the Camp Fair is in the parking lot behind the school, and the entrance to the Field House is near the tennis courts.